Joining hands, spiritual partners step into the world together, certain only that no matter what comes their way, they will not be alone in facing it. Love does not consist in gazing at each other but in looking together in the same direction. When life serves up a crisis, love finds a way through it. In times of struggle, soulmates draw closer together and feel even more at home in each other’s arms. Love, like a river, will cut a new path whenever it meets an obstacle. As their knowledge of each other grows, so too does their love. Each becomes more beautiful in the other’s eyes; each becomes more cherished in the other’s heart. Love must be as much a light as it is a flame. No matter how many years they have been together, their hearts occasionally still skip a beat when they catch a glimpse of their beloved’s face. Phil is the author of Through God’s Eyes: Finding Peace and Purpose in a Troubled World, a comprehensive guide to living a spiritual life. Who will benefit from reading it? To order your copy of Through God’s Eyes, go to GodsEyesOrder.com OR order from Amazon at GodsEyesAmazon.com OR for an inscribed copy, click here to e-mail Phil for information. Click here for more information about Through God’s Eyes. 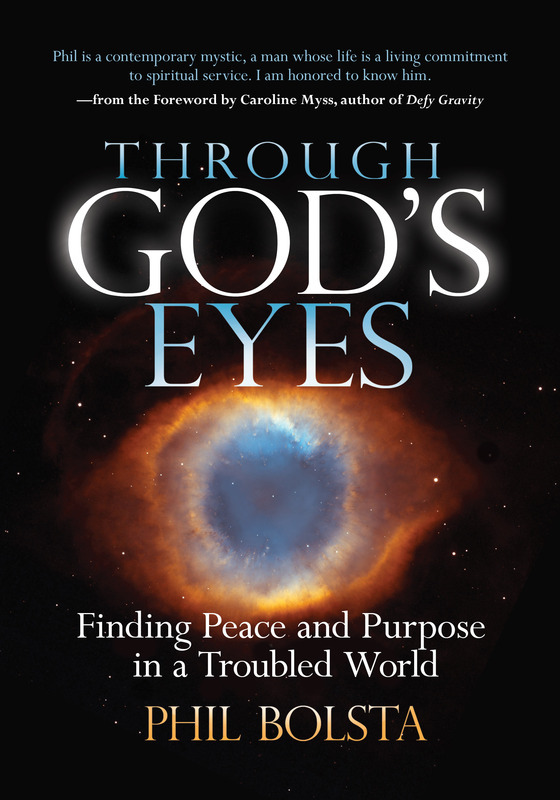 Through God’s Eyes won first place in the “Spirituality and Inspirational” category at the San Diego Book Awards on June 22, 2013. Phil’s eBook, The Logic of Living a Spiritual Life: Supporting a Life of Faith Through Logic and Reason, is now available for 99 cents on Amazon. Phil is also the author of Sixty Seconds: One Moment Changes Everything, a collection of 45 inspiring, life-changing stories from prominent people he interviewed, including Joan Borysenko, Deepak Chopra, geneticist Dr. Francis Collins, acclaimed sportswriter Frank Deford, Dr. Larry Dossey, Wayne Dyer, Dan Millman, Caroline Myss, Dr. Christiane Northrup, Dr. Dean Ornish, Dr. Rachel Naomi Remen, Dr. Bernie Siegel, James Van Praagh, singer Billy Vera, Doreen Virtue, Neale Donald Walsch, and bassist Victor Wooten. Here is a three-minute video that introduces you to Phil and his book. 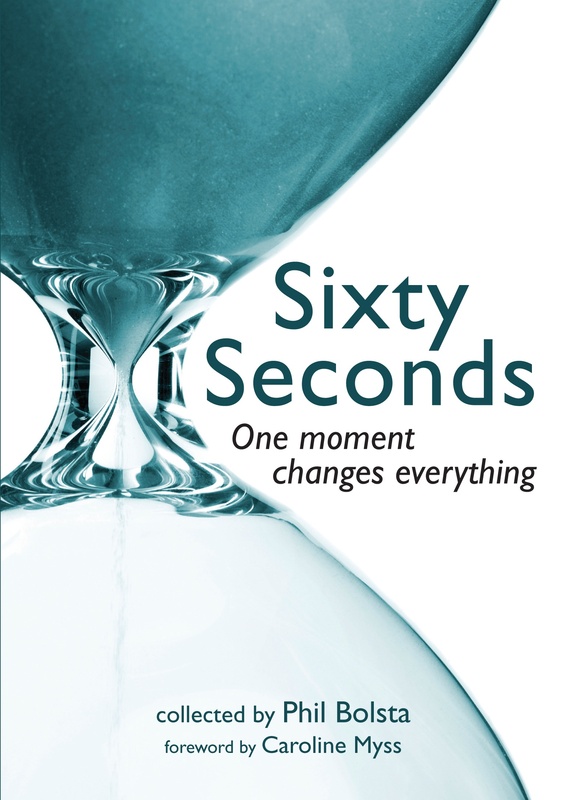 Click here to order Sixty Seconds. Click here to ask Phil to add you to his e-mail list for updates on his blog and books. Reading this book is like spending a few minutes face to face with each of the contributors and listening to their personal stories. Click here to read unsolicited testimonials from readers. Learn more by visiting the official Sixty Seconds website. Sixty Seconds was one of three finalists in the General Interest/How-To category at the 12th annual Visionary Awards presented by COVR (Coalition of Visionary Resources) in Denver on June 27, 2009. This entry was posted on November 18, 2011 at 8:28 PM and is filed under See INDEX categories above. You can follow any responses to this entry through the RSS 2.0 feed. You can leave a response, or trackback from your own site.